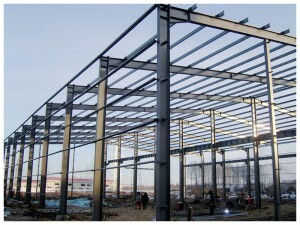 Qingdao Xinmao ZT Steel Construction Company specialized in research,development,manufacture and distribution of steel construction.With our rich experience,professional technology and rigorous quality control,our products are widely used in steel construction field with good feedback and continuous orders from more than 2000 customers in domestic and oversea markets.We can solve any technical problem you may encounter with your steel structure workshop and provide many kinds of steel structure for you. 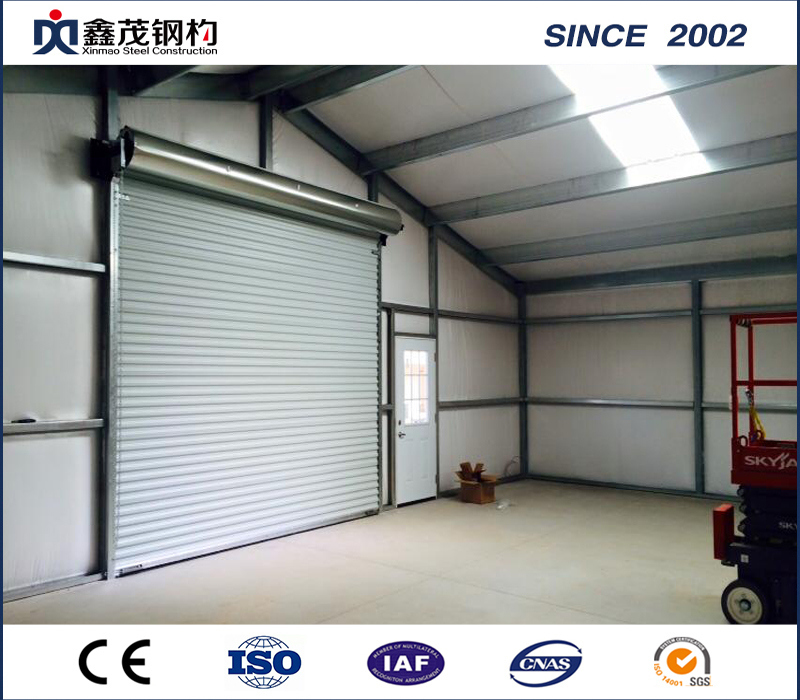 One-Top Service: Design, Manufacture and Install Steel Structure Workshop, Steel Warehouse Buildings, Steel Structure Industrial shed, Steel Structure Hangar. Exported to +90 Countries: Ethiopia, Tanzania, Nigeria, South Africa, Algeria, Dubai, Saudi Arabia, Thiland, Australia, France, Germany etc. around the world. 3. 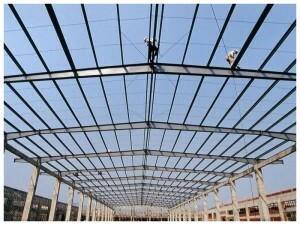 Durability: The whole steel structure is easy in maintenance, which can be used for more than 50 years. 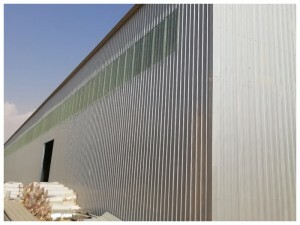 Roof Colorful steel plate 0.326~0.8mm thick,or sandwich panel with EPS, Rock Wool, etc insulation thickness around 70mm~120mm. 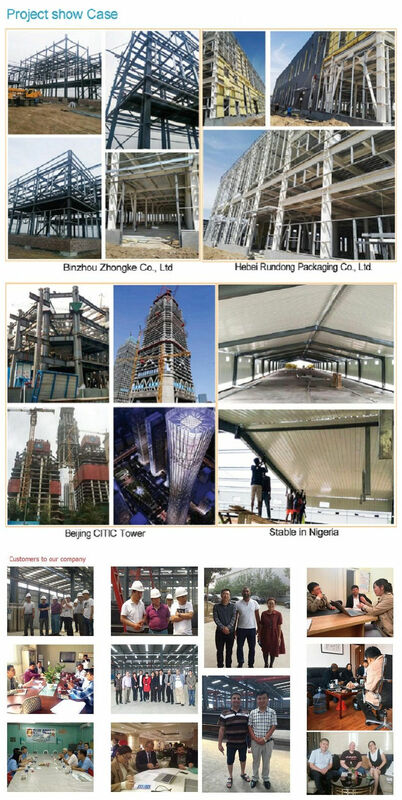 Qingdao Xinmao ZT Steel Construction engineers have extensive experience in structural steel design and analysis. 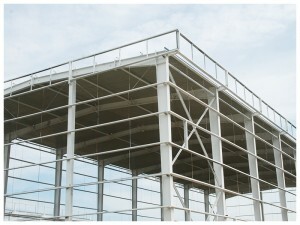 We build pre-assembled custom structures to support equipment as well as entire separation equipment solutions.We also conduct in-depth reviews of existing structures for flexbility and strength prior to equipment delivery. 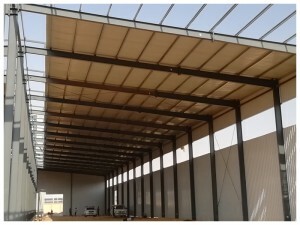 all kinds of steel buildings, metal buildings, modular house, steel frame for warehouse, workshop, garage,garden,shed etc, steel beams, other riveting and welding parts. 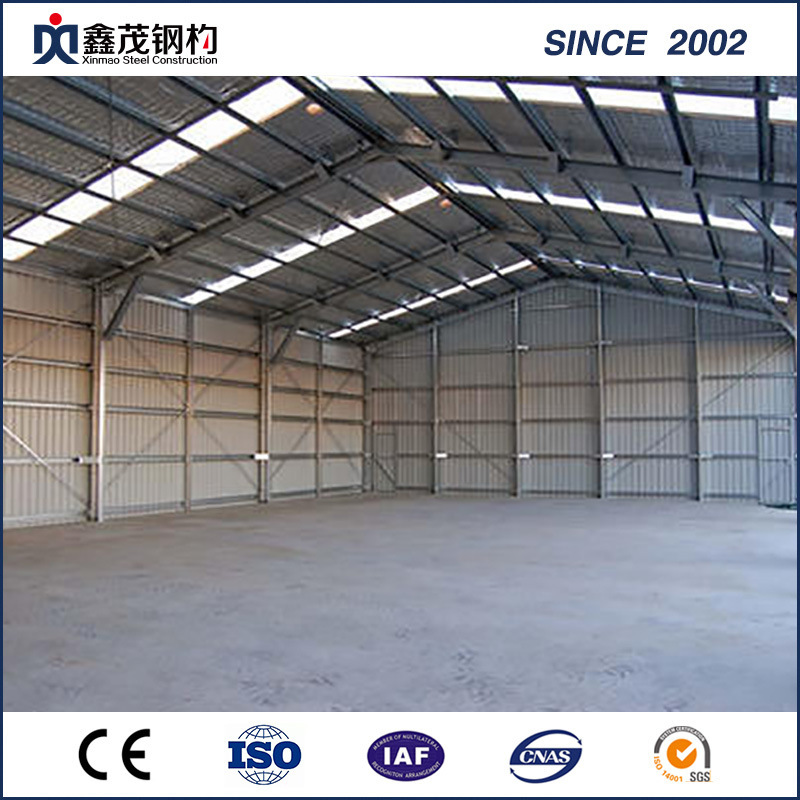 Building Type: Single slope, double slope, Single span, double-span, Multi-span,single floor, double floors! 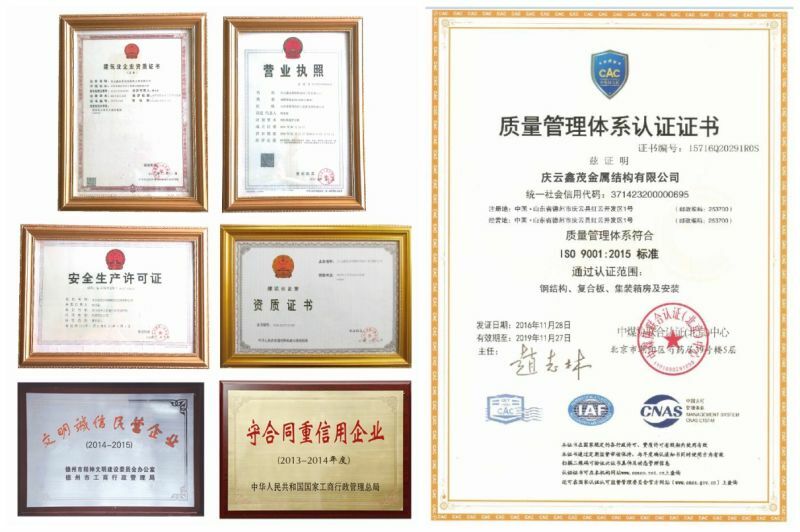 We can also make and develop new parts according to customers’ drawings and detailed dimensions. 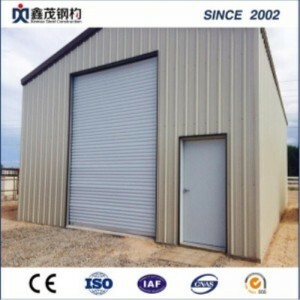 size: width X length X eave height, roof slope. 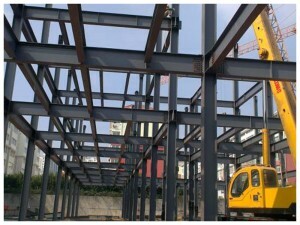 Crane(if have), Crane span, crane lift height, max lift capacity, max wheel pressure and min wheel pressure! 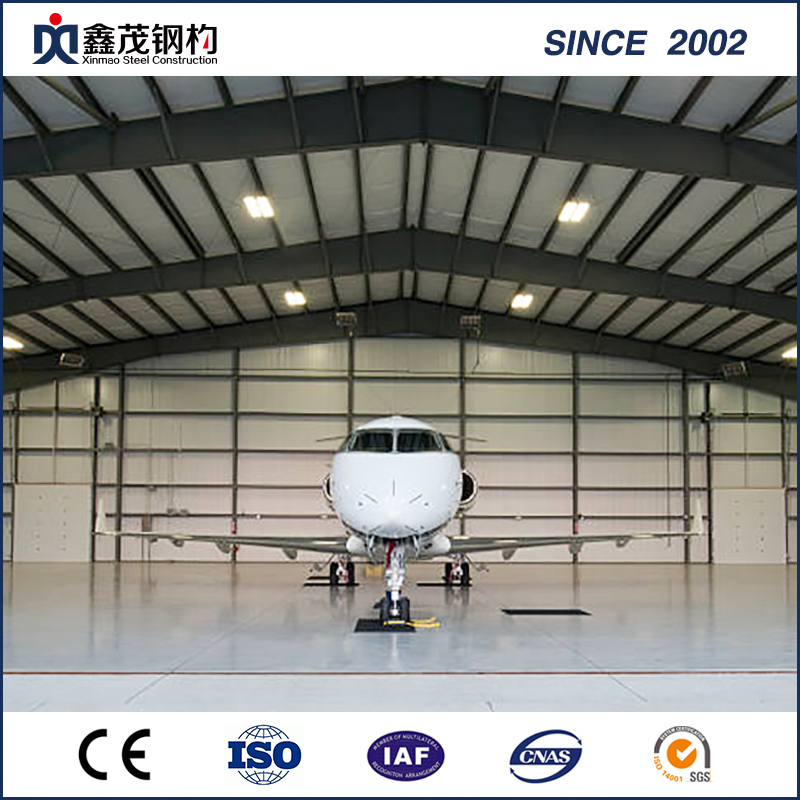 a. Iso 9001 quality control system . a. 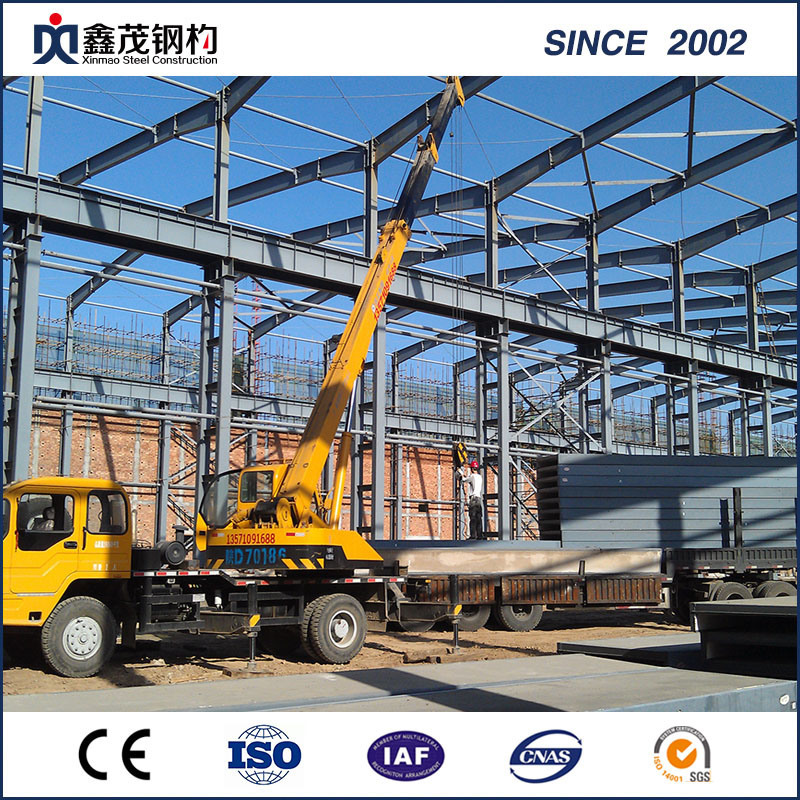 Professional steel structure manufacturers since 2003. 3. 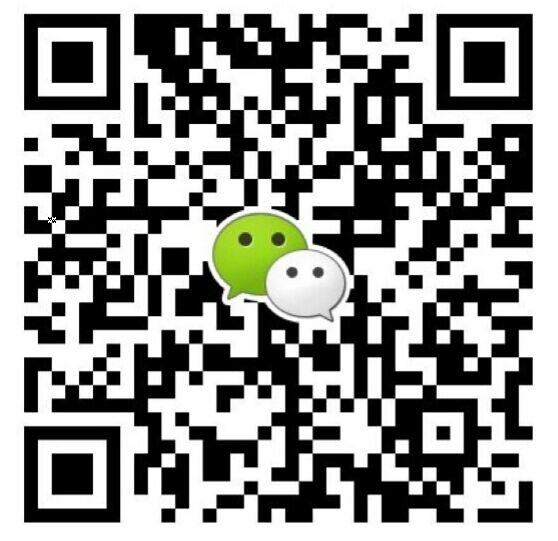 What information you are supposed to provide to get a good price? 3) Your local climate? Snow, rain, hurricane, etc. 4) The wind speed of your local. a. 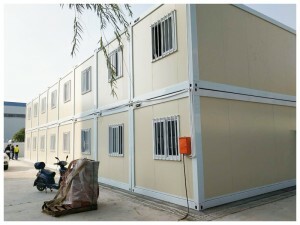 We have accessfactories which is specialized in manufacturing steel structure, prefab houses and entertainment facility. b. 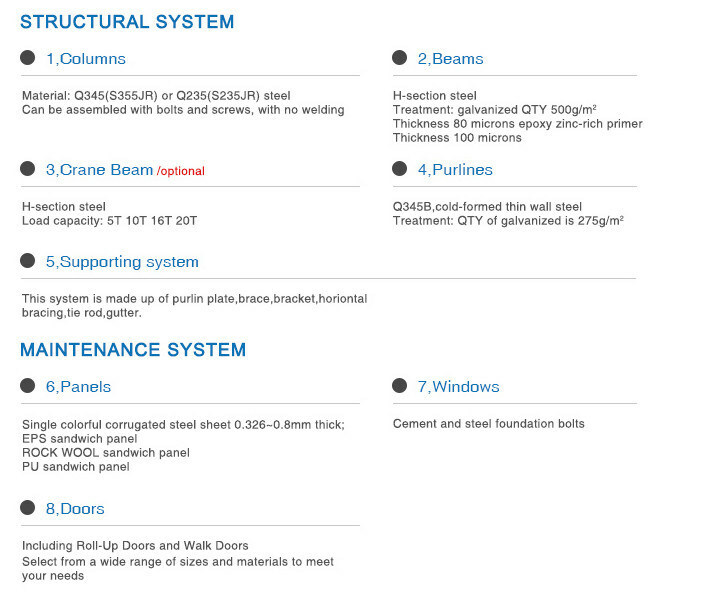 We have professional engineers to design for you. 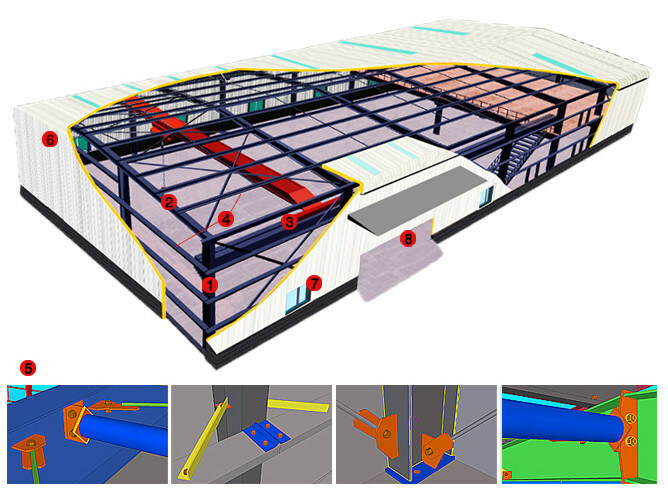 And if you have drawings, we can quote for you according to the drawings and your detail requirements. 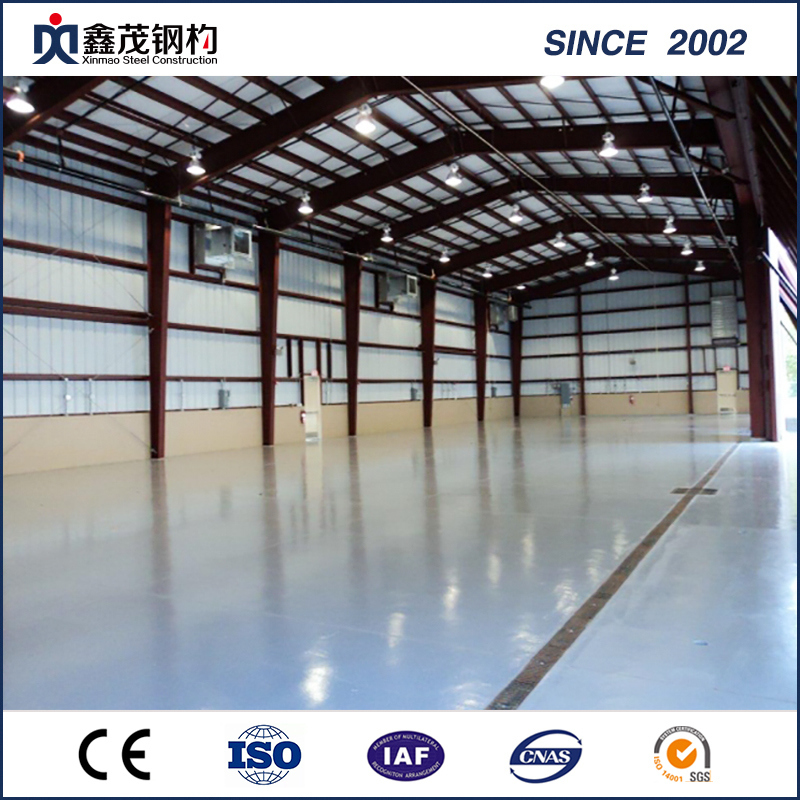 c. Our quotation is for ex-factory price or FOB price. 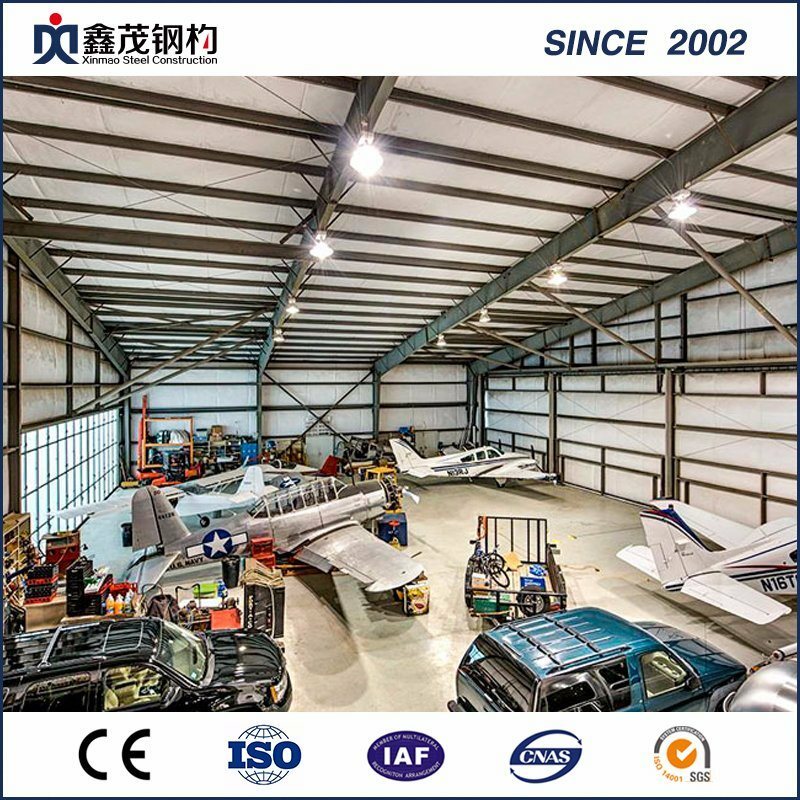 And if you need , we can introduce shipping company to you. 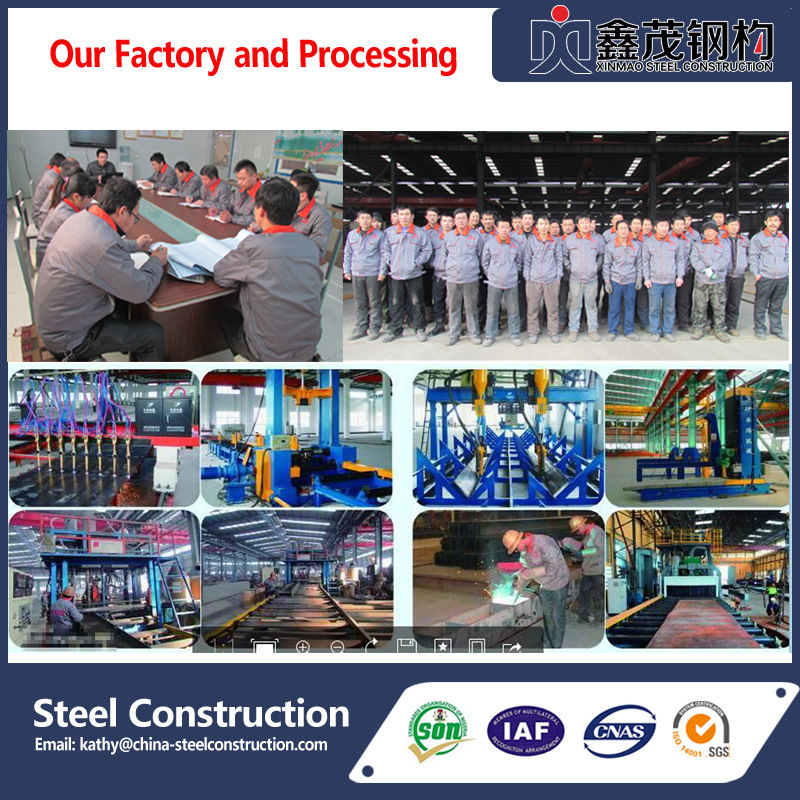 d. When orders into the factory, we will arrange special people to track it . 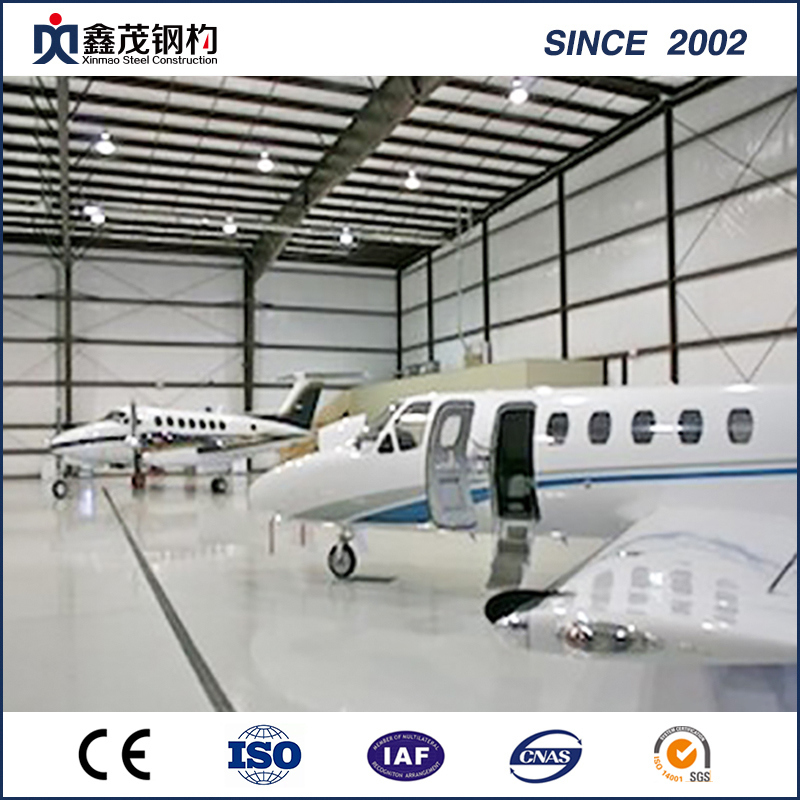 e. We can ship the products from factory to wharf for you when it finished. f. If you have any other needs, we will try our best to help you. 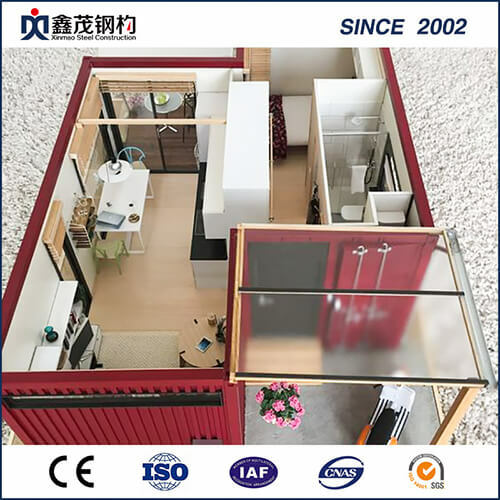 We have lots of construction projects home abroad, our sales volume in Philippine market is NO.1, we are the best and the most reliable supplier in this area, and also we are the top 3 supplier in Pakistan , Sudan. a. What kind of company you are? 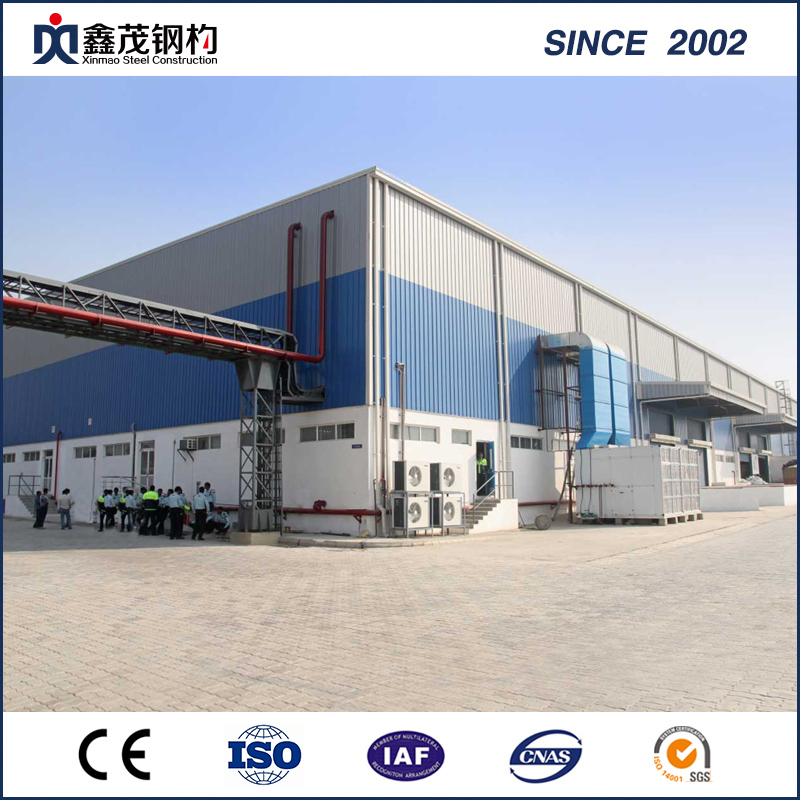 We are steel construction building materials Manufacturer located in Qingdao China, We were gaining good reputation among our customers for our professional, warm and thoughtful service. 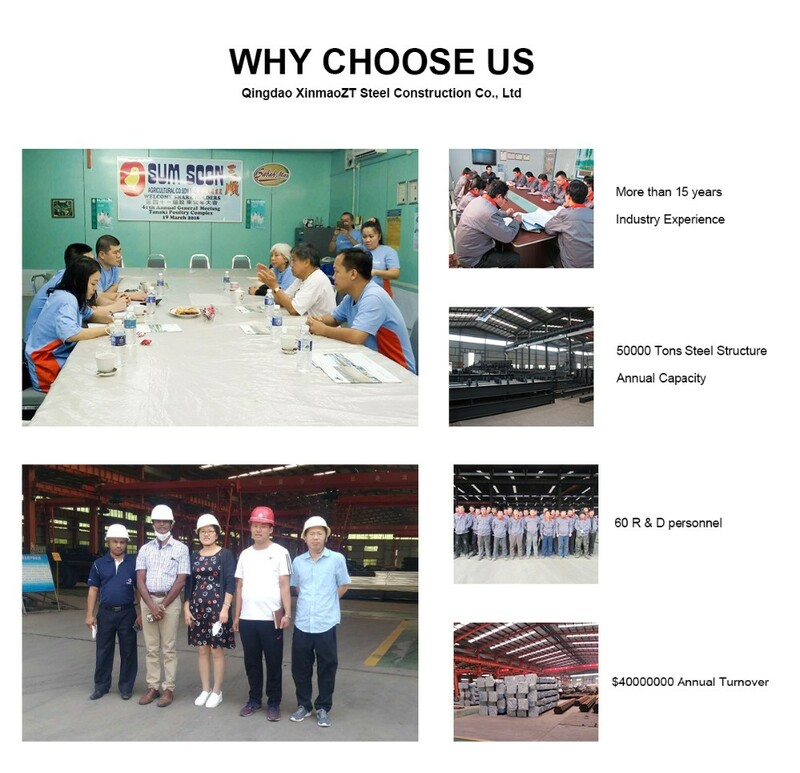 Because we know that a long terms business based on the quality control, price, packing, delivery time etc. b. 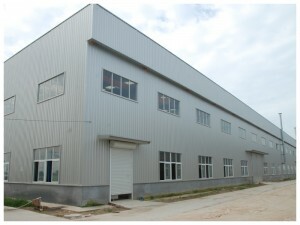 Does your company is a factory or trade company? c. Whats the quality assurance you provided and how do you control quality ? d. Can you offer designing service? 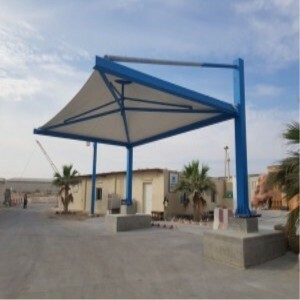 e. Do you offer guiding installation on site overseas? 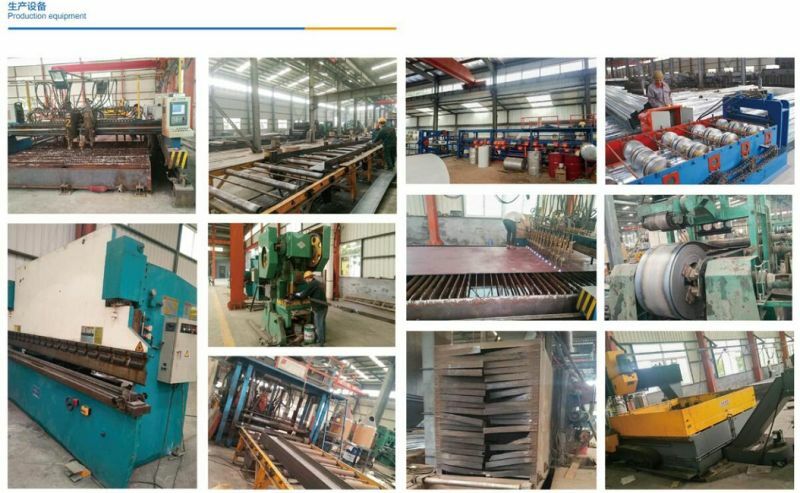 Qingdao Xinmao ZT Steel Construction Co.,Ltd. 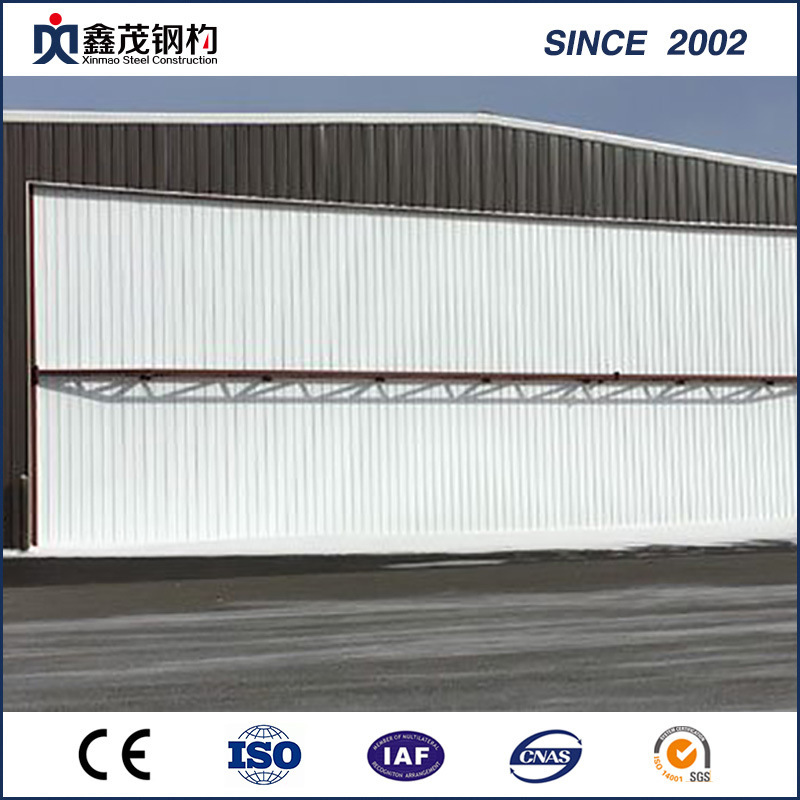 Next: One of Hottest for Container Home Quotes - Prefabricated Steel Workshop Building Warehouse Steel Structure Design and Manufacture – Xinmao ZT Steel Construction Co., Ltd.